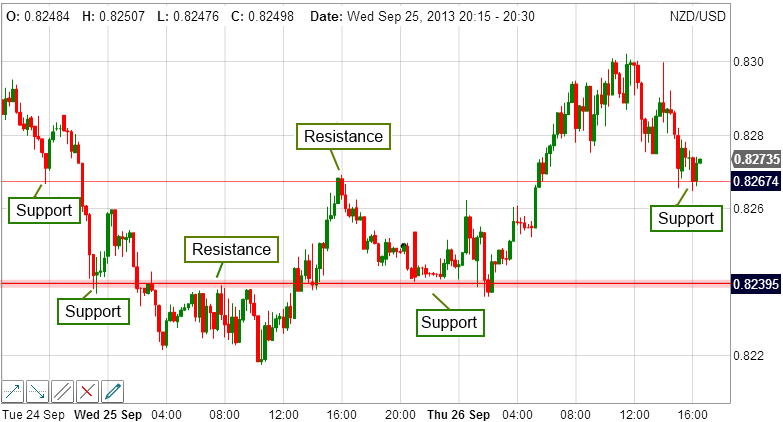 A resistance level is a price point where the market price pivots and changes direction. They are formed when you can draw a horizontal line between two or more price pivot points. 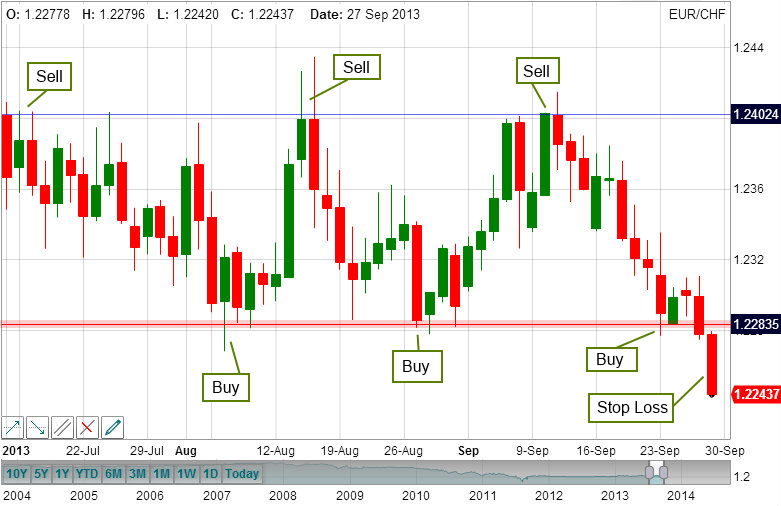 The resistance level is the highest price that a market trades at, over a period of time. The more frequently a resistance level is tested (i.e. hits a previous resistance level price pivot point but does not rise above it), the stronger the resistance at that level. Some traders believe that the stronger the resistance at a given level, the less likely it is to break above that level in the future. It is said that if a market breaks prior levels of resistance only by a small portion, it will increase until a new level of resistance is reached or established. You can use the timetotrade to create rising and falling price threshold alerts to notify you, or execute trades, when the market hits a support or resistance level.